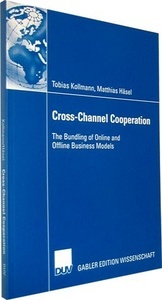 Kollmann, Tobias/Häsel, Matthias (2007): Cross-Channel Cooperation: The Bundling of Online and Offline Business Models. Wiesbaden: Deutscher Universitätsverlag. 2006. xii, 139 pp. With 35 Fig. Softc. Technological advances and changes in customer behaviour implicate a continuing integration of online and offline activities of businesses and individuals. As customers use online and offline channels complementarily, enterprises need to attend both physical and virtual trade levels in equal measure. Integrated business concepts are increasingly becoming a prerequisite for achieving a sustainable competitive advantage and alliances between traditional enterprises and Internet-based ventures are a promising way of meeting these requirements. Tobias Kollmann and Matthias Häsel explore the manifold possibilities of cross-channel cooperation and present the first systematic investigation and classification of cooperation strategies between partners equipped with online and offline business models. They provide a conceptual framework to understand the subject and examine the practical implications for the implementation of their new concept. This book is intended for managers and researchers involved in electronic business, innovation and technology management, marketing and distribution, as well as for directors and entrepreneurs of both traditional and Internet- based companies. It is also essential reading for students in business administration and business information systems. "Cross-Channel Cooperation" kann bei Amazon oder beim DUV online bestellt werden. 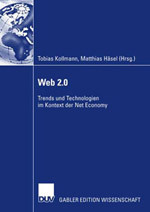 Kollmann, Tobias/Häsel, Matthias (2008): Cross-channel cooperation: a collaborative approach of integrating online and offline business models of e-entrepreneurs and traditional SMEs. In: International Journal of Entrepreneurship and Small Business 6(2), pp. 212-229. 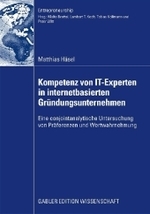 Kollmann, Tobias/Häsel, Matthias (2006): Cross-channel cooperation: a collaborative approach of integrating online and offline business models, in: Feltz, F./Otjacques, B./Oberweis, A./Poussing, N. (Eds. ), AIM 2006 - Information Systems and Collaboration: State of the Art and Perspectives. Best Papers of the 11th International Conference of the Association Information and Management (AIM), Luxembourg June 8-9, 2006. GI-Edition Lecture Notes in Informatics P-92, pp. 69-82, Köln: Gesellschaft für Informatik.